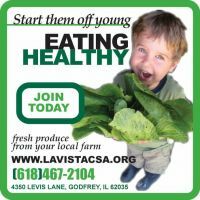 The Community Supported Garden at La Vista serves as a source of renewal for human, social and physical health by providing healthy and nutritious food, by the building of a diverse community, and through the practice of social justice. 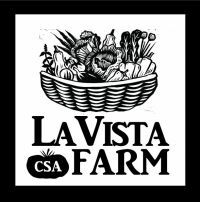 We demonstrate a model for diversified, sustainable, small-scale community supported agriculture through responsible stewardship of the land and by supporting our farmer with dependable and just compensation. We respect the soil, water and air through organic methods of growing, by conserving water and by reducing fossil fuel emissions into the air. We grow in harmony with the other-than-human species present here through a consciousness of and care for this local region of life, considering the ecosystem when making our decisions and collaborating with other organizations in promoting life. We recognize that both this land and a sense of mission are pure gift. With insight we ponder that these opportunities to plant, to cultivate, to harvest and to share are themselves revelations of the Divine. We associate ourselves with this part of the Great Work and are blessed with wonder and awe.